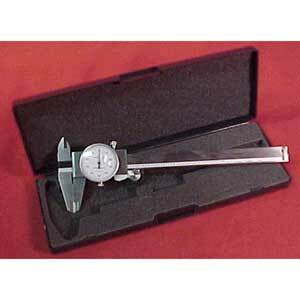 Precision measuring for reloaders, machinists, toolmakers & others. Four way measuring (external, internal and depth with either end). Calibrated to .001" to give precise measurements of ball or bullet diameter, case length, and a thousand other uses in any home workshop. High quality precision craftsmanship at a moderate price. Comes in a padded carrying case. 6".